Hello friends! I hope you all will be absolutely fine and having fun. 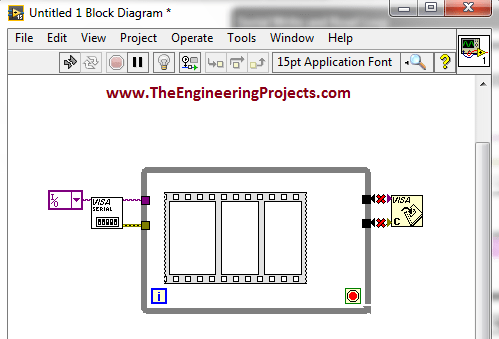 Today, I am going to share my knowledge with all of you about how to make a simple program for DC Motor Direction Control in LabVIEW. 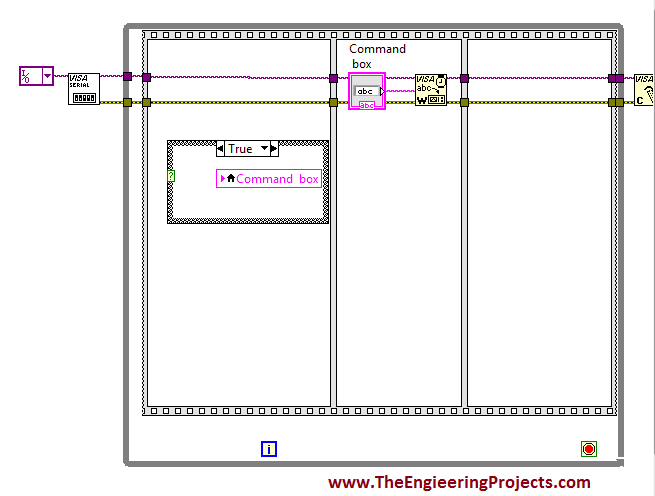 In my previous tutorials, I have also worked on DC Motor Direction Control using Arduino. 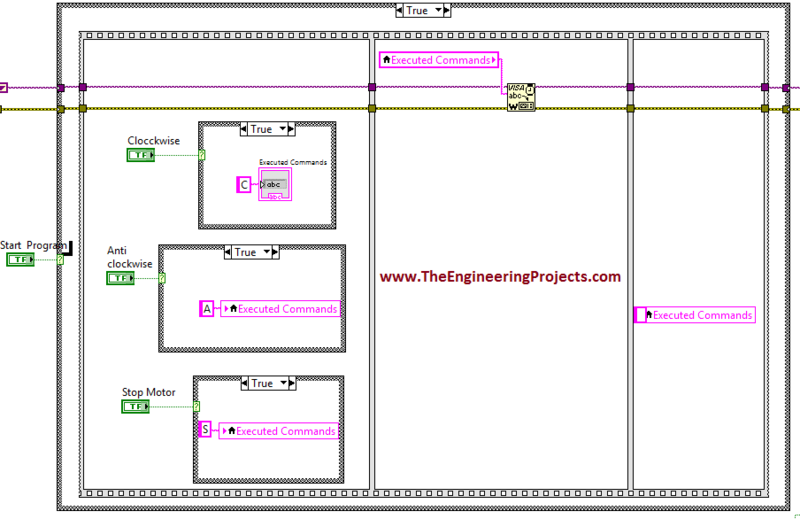 You should go through these tutorials they will be helpful in better understanding of the tutorial DC Motor Direction control using NI LabVIEW. The word DC is basically an abbreviation of Direct current. So, a direct current motor is commonly used motor having two input terminals, one is positive and the other one is negative. If we connect these terminals with the voltage supply the motor will rotate. 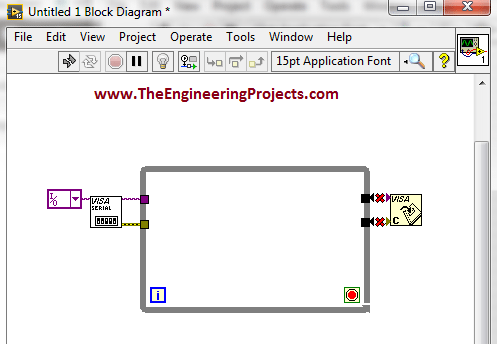 If you change the polarity then motor will rotate in opposite direction. 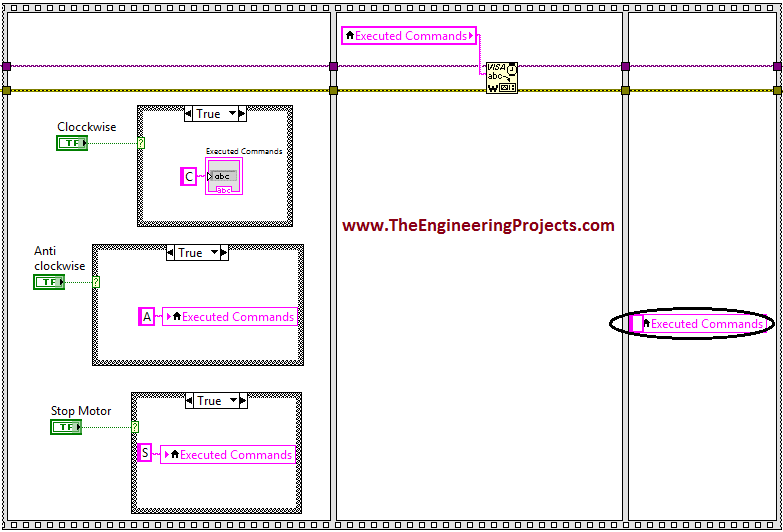 You should also have a look at Difference between DC & AC Motors to get a better idea about these motors. DC motor has a lot of applications. 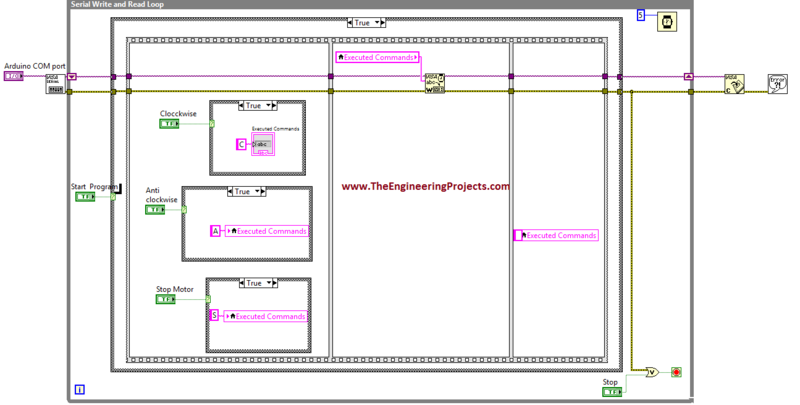 You can use it in automation projects, for controlling static as well as mobile robots, in transport system, in pumps,fans,bowers and for industrial use as well. 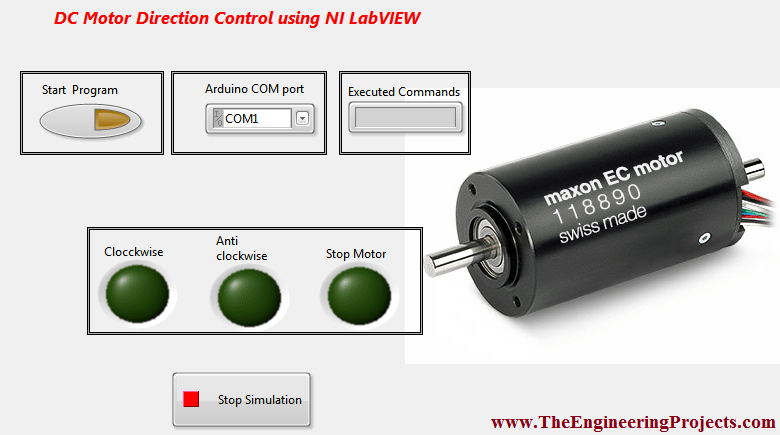 In this tutorial I will work on DC Motor Direction Control using NI LabVIEW. 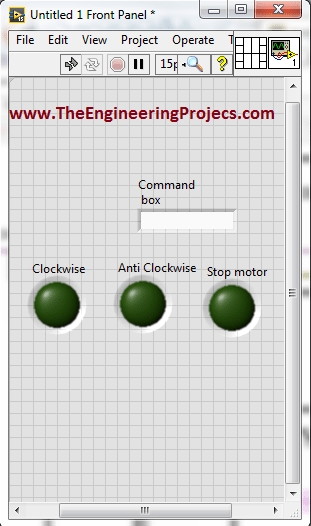 In my previous tutorial, I have done the DC Motor Direction Control in MATLAB and I have used the same hardware but instead of controlling it from NI LabVIEW I have controlled it using MATLAB so you must have a look at that tutorial. 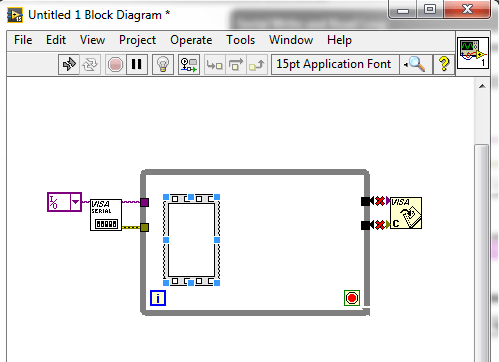 Now let’s get started with DC Motor Direction Control in LabVIEW. 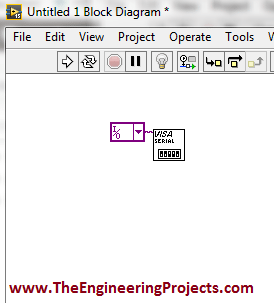 In this tutorial, I will make a simple program to work on the DC Motor Direction Control in LabVIEW. 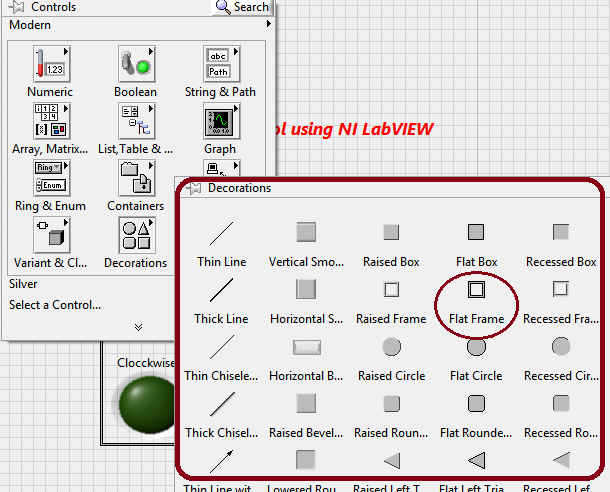 NI LabVIEW is an amazing software tool specially for the students, because it is very easy to use and understand. 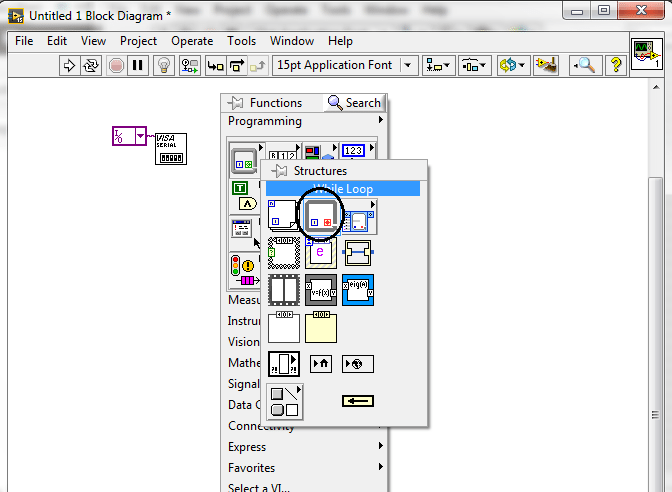 So, its a student friendly tool. 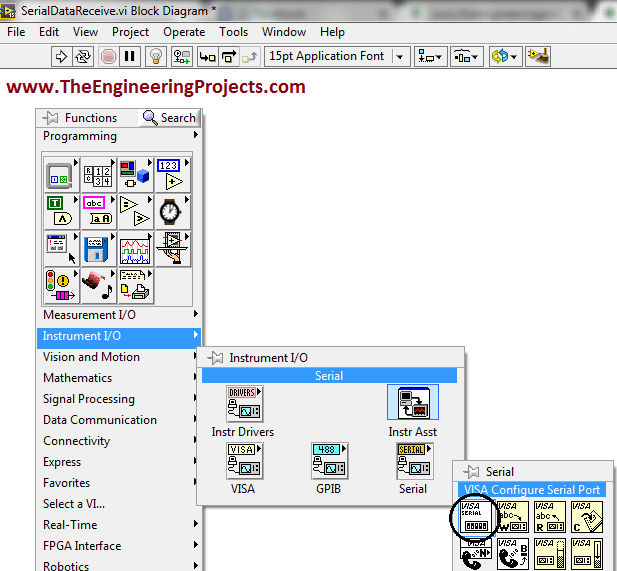 Before going into the details of this tutorial, you must go through my previous tutorials because I am going to use the same hardware setup and same Arduino source code as well. 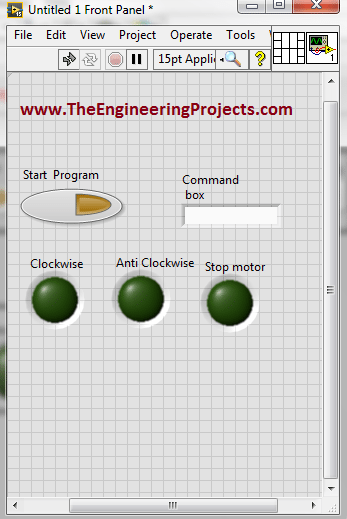 I will made a simple GUI (Graphical User Interface) in LabVIEW for DC Motor Direction Control in LabVIEW. 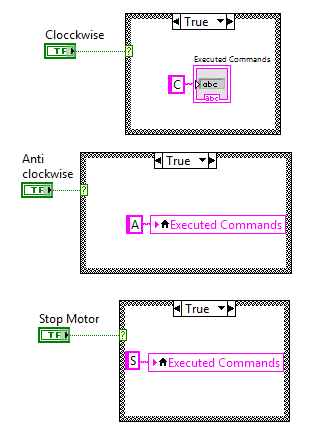 There will be three different buttons on the GUI for clockwise rotation, counter clockwise rotation and stopping the stepper motor respectively. 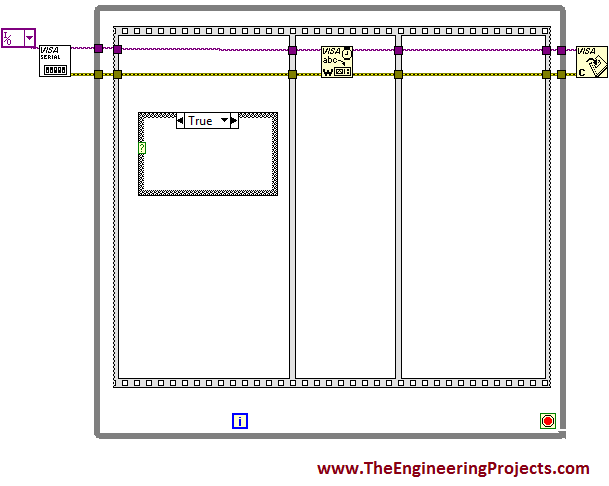 Download .rar file, extract it and enjoy the complete simulation for DC Motor Direction Control using NI LabVIEW. 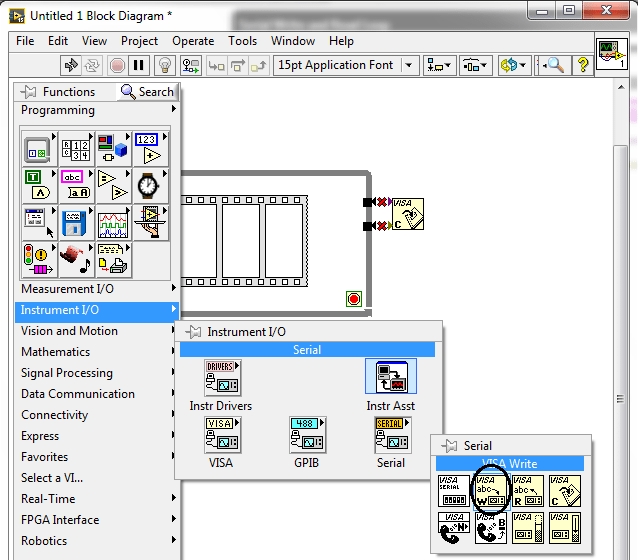 First of all open NI LabVIEW software on your laptop or PC so that we could design the GUI for DC Motor Direction Control in LabVIEW. 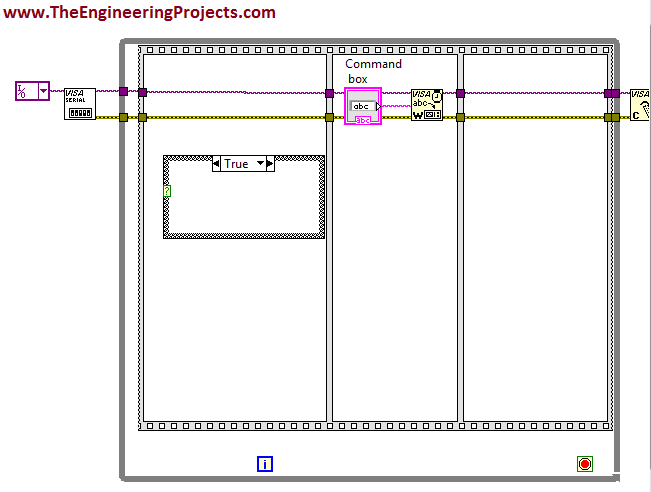 Go to the first input terminal of the VISA Configure Serial Port block and go to Create-> Constant. 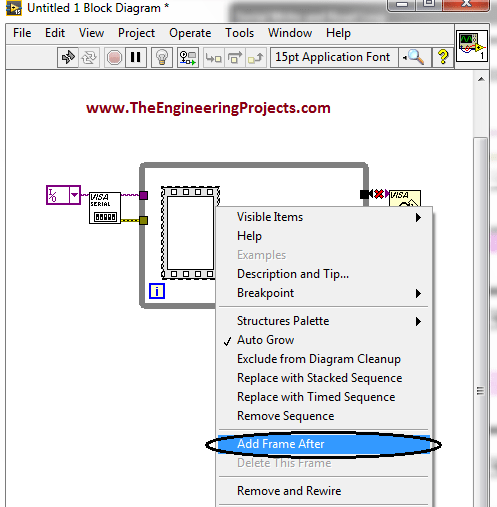 Similarly make two further case structures for counter clockwise rotation and stopping the rotation of the stepper motor. 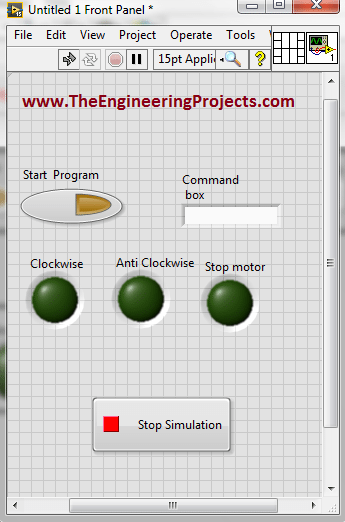 Change their names from default to Clockwise, Anti clockwise and Stop Motor. 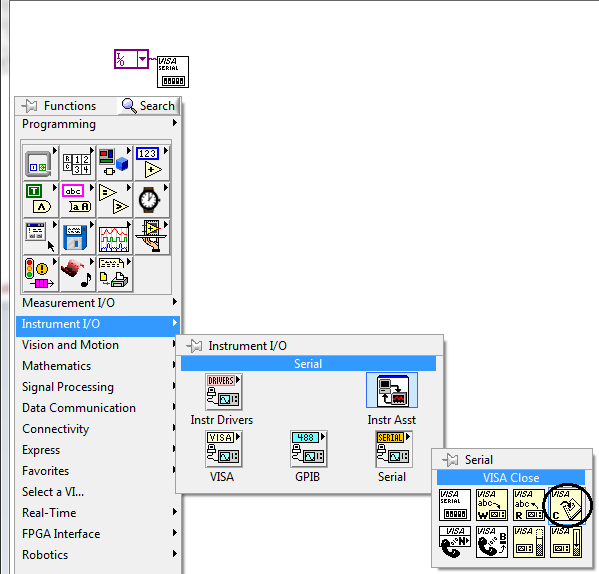 Since, I want to make the better external look of the program for DC Motor Direction Control in LabVIEW, so I have decorated a bit. 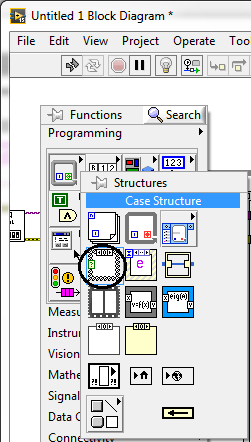 The figure shown below shows the decorated Front Panel. 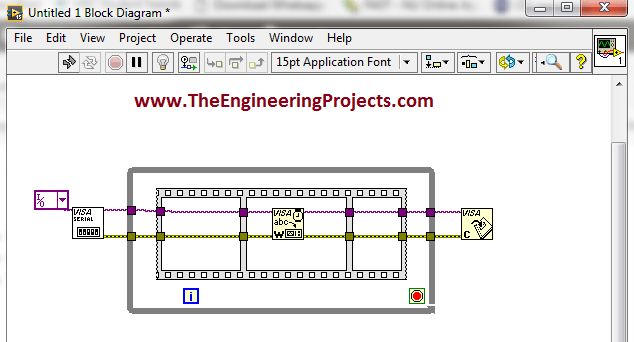 I have used three decoration block encircled with the red color, to decorate my program. 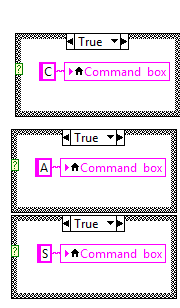 Thick red boundary shows all of the decoration blocks to make your program attractive. 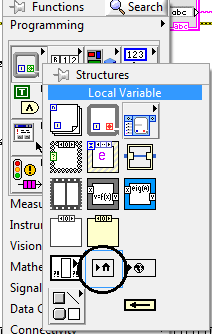 You can also decorate your programs using this amazing tool. 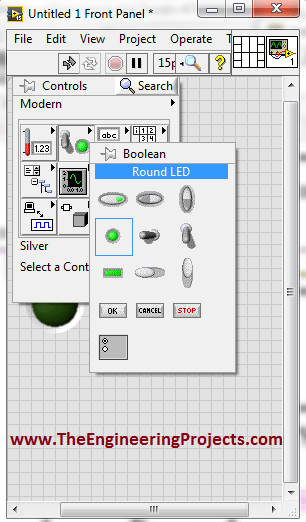 what is the connection that to be made between motor and arduino pins, please refer pin connection .